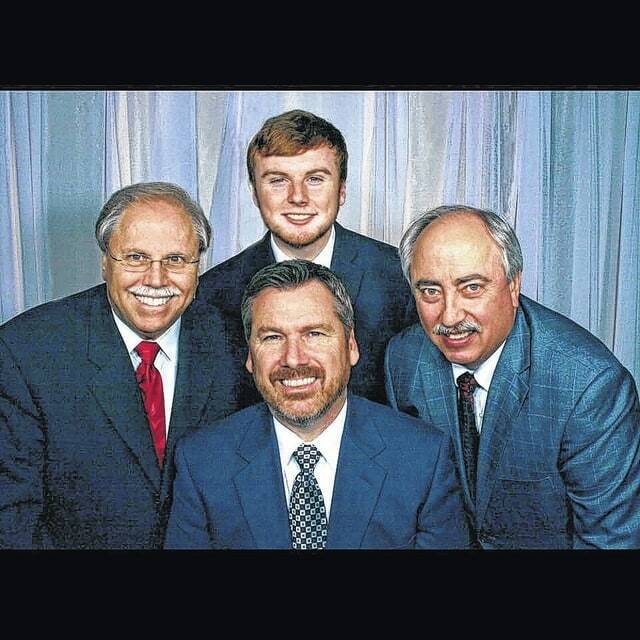 The Gospel Harmony Boys will be in concert at Plymouth Heights Church of the Nazarene, 25Arnett Drive, Franklin Furnace, Ohio 45629 (behind Green High School) on Sunday, July 19, 2015 at 10:30 AM. The Gospel Harmony Boys were organized in Huntington, WV in 1952 by Harold Lane. Throughout their half century history, this group of professional men have been given many honors and have attained many goals. These include the distinction of being the first gospel quartet to ever appear on live network television as the guest of Dave Garroway on NBC’s “Today Show” in the early 1950s. They also hosted the nation’s first weekly scheduled gospel music television program that was regular viewing for a million fans in West Virginia, Ohio, Kentucky and Virginia for nearly two decades. The Gospel Harmony Boys were also pioneers in producing gospel recordings releasing their first 78and 45rpm recording in 1953 and their first LP album in 1963. Pastor Andy Ramey invites to public to join us for a wonderful time of praise and worship. A love offering will be taken. For further information call 740-354-9021.